Q. How is Faculty Member of Chayan IAS Coaching Lucknow? Ans. Chayan IAS Coaching Lucknow has no permanent faculty member. Non faculty member is cooperative and friendly. Teachers are inexperienced and professionals. Dr. R.K Tiwari is famous in this institution for his teaching method while other teachers are below average,as per the Google reviews. Q. How is Chayan IAS Coaching Lucknow for civil Services? Ans. Chayan IAS Coaching Lucknow is not popular institution but Quality of education is fine. This is famous institution for General studies and Hindi Optional. This institution is highly recommended to Hindi Medium Students, as per the Google reviews. Q. 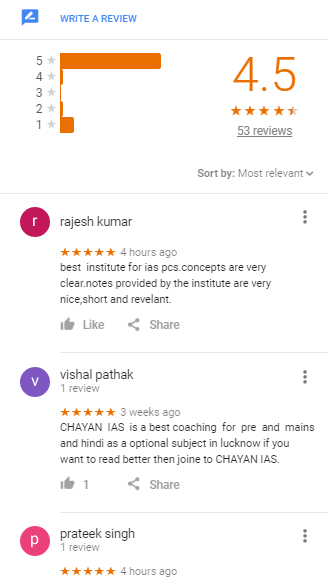 Does Chayan IAS Coaching Lucknow offer the best facilities to aspirants? Ans. 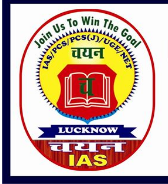 Chayan IAS Coaching Lucknow offers average services to aspirants. Classrooms are not equipped with Air Conditioners. Classrooms are small and a bit congested. The fee structure of this institution is affordable and reasonable but it does not provide scholarship to aspirants. Q. How is Past Result of Chayan IAS Coaching Lucknow? Ans. Past Result of Chayan IAS Coaching Lucknow is very bad as compare to other institutions. This coaching claims the past result on the institution website but it does not disclose their rank or place. For more Information, You can visit on the institution. Q. How is Study Material of Chayan IAS Coaching Lucknow? Ans. 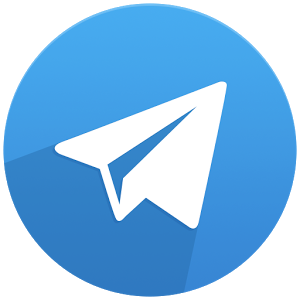 Study Material of Chayan IAS Coaching Lucknow is below average and much popular in the market. The quality of study material is worst and not beneficial for aspirants. The study material is not updated and systematic,as per the Google reviews.